​​Learn about different natural remedies for cancer that you can use to prevent it. Discover what foods, supplements, herbs, and treatments ​to use to defeat cancer. Find out how to use muscle testing to know what foods or supplements your body needs. And learn what to avoid if you don't want to have cancer. ​What we put in our mouth has a significant effect on our health. Meat, oils, and processed food are detrimental to our health. We need to eat a plant-based diet to maintain good health and prevent cancer. Vegetables and fruits contain essential vitamins, fats, and protein that we need. In this blog post, you're going to learn several natural remedies for cancer. You’ll get suggestions for foods, herbs and other natural cancer treatments. Discover what things to avoid if you have cancer. And learn how to use muscle testing to know what foods or supplements are good for you. So let’s talk about the best diet to eat if you have cancer. Try to center your diet around four types of foods: vegetables, fruits, beans, and grains.There are three macronutrients in food, carbohydrates, fats, and protein. The optimal ratio of these three macronutrients should be 80% carbs, 10% protein and 10% fats. So how do you keep these levels? Easy, by concentrating your food on vegetables, fruits, grains, and beans. Keep your fat and protein levels in check. Reduce your intake of fatty foods like nuts, seeds, and avocado. Avoid any animal products. Eating vegetables will have the best impact on your body. Vegetables are alkalizing and contain more nutrients than other foods. Eat them as much as you like. Fruits are high in simple sugars, limit them to 1-3 servings a day. The sugar in fruit is fructose. Fruits are more acidic than vegetables. Except for certain fruits like lemon, grapefruit, lime, and tomato. Avoid eating dried fruits. Dried fruits have more concentrated sugars as moisture evaporates in the drying process. Also, avoid fruit juices. See fruits as a special treat not a staple. Plants don’t contain as many calories as meat. So you need to eat more to feel full. Sustaining yourself on vegetables alone is hard. The mistake that many vegans do is not to eat enough starch. You will feel hungry and fatigued if you only eat leafy greens like kale, vegetables, and fruits. When you fill up on starch, you stay full for a long time. Whereas when consuming fats and oils, you still want to eat more. Starchy foods are plants that are high in long-chain digestible carbohydrates. They are also known as complex carbohydrates. ​Starches should be the foundation of your meals.Eat whole grains like brown rice instead of white rice. Add 600 to 900 calories of your choice of grains, legumes, or starchy vegetables to your meals. Divide the starch throughout the day. ​Click here to learn more about starches. Legumes contain a good source of protein. Too much protein can present stress to the kidneys. Limit them to 1 cup(2.4 dl) a day to be on the safe side. Don’t forget to soak beans, grains, and nuts overnight to eliminate gas. Soybeans, soy milk, tofu, miso, and tempeh contain phytoestrogens. Phytoestrogens help prevent many forms of cancer. Soy foods should only be a small part of your diet. No more than 5% of your calories, or about 2 ounces(56 g) per day. Fiber: Fiber is a vital component of grains, fruits, and vegetables. It's the structural support of plants, and we need it for a healthy bowel movement. Good sources of fiber are fruits, vegetables, and whole grains. Water: Water is part of many bodily fluids. Drink plenty of pure water. Use a water filter like Berkey to get rid of pollutions in the water. ​Read more about ​the dangerous chemicals in water in this blog post. Click here to read it. ​Flaxseeds: One to two tablespoons of chopped flaxseeds daily will give you enough omega 3 per day. Juices: Freshly squeezed vegetable juices provide valuable enzymes, antioxidants, and nutrients to your body. They are especially useful if you're bloated. Avoid drinking fruit juices. ​Read this blog post to learn how to start juicing for cancer today. ​Green Tea: Green tea counters the effects of radiation. It also keeps the pH of the blood balanced and is high in antioxidants. Polyphenolic catechins found in green tea fight free radicals better than vitamin E.
Mushrooms: Several mushrooms have great healing properties. The maitake mushroom kills cancer cells by enhancing the activity of T-helper cells. It may be useful in controlling cancers of the breast, lung, and prostate. Shiitake and reishi mushrooms also have anti-cancer properties. MGN-3 Biobran: MGN-3 Biobran, is a food supplement that improves the immune system. It is also helpful to those undergoing chemotherapy. Seaweed: Chinese medicine uses seaweed for treating cancers as it softens hardened tumors. Eating alkaline foods balances the pH of the blood, which, in turn, inhibits the growth of cancer cells. Alkaline foods keep the blood pH in its ideal range of between 7.2 and 7.4. Cancer can't survive in an alkali state. Vegetables and fruits are the most alkalizing foods you can eat. ​Leafy greens: Leafy greens are any vegetable that has leaves you can eat. They include dark greens, like kale and collard. But also the entire lettuce family and a variety of herbs, like parsley and cilantro. They're full of vitamin A, C, K, folate and trace minerals.Moreover, they contain sulfur, potassium, calcium, and iron. Leafy greens are alkalizing and nutrient dense.Dark leafy greens have high amounts of minerals. They are also known for their high number of chlorophyll. Chlorophyll is the pigment which gives plants their green color. It aids the transporting of oxygen and increases red blood cell production. Add a handful of leafy greens to your lunch and dinner to increase your nutrient intake. Try to juice leafy greens or add them to your smoothies. Sprouts & Grasses: Sprouts are seeds that you grow and then eat. Sprouting has been a common practice in places like Eastern Asian and Europe. Most cultures have used different soaking, sprouting or fermentation methods. There are a lot of different types sprouts, almost as many as there are edible plants. Every plant-based food started with a sprout and grew from there. You can sprout grains, seeds, and legumes such as wheat and barley. The main reason for eating sprouts is about nutrition and digestion. Sprouts as young as three days old help to protect against chemicals that cause cancer. Eating sprouted foods boosts the antioxidant vitamin C content. But it also increases the chlorophyll content. Broccoli sprouts are an excellent alternative if you don't like eating broccoli. You can grow broccoli sprouts at home.Another major benefit is that you don't have to cook them. Eat them raw as an addition to salad or juice. Broccoli sprouts have 20 times the cancer-fighting power than regular full-grown broccoli. You only need to eat a handful to receive the same amount as you would get from eating an entire pound of broccoli. Wheatgrass is another health food. This grass is either juiced into a “wheatgrass shot,” or milled down into a fine green powder. Antioxidants help prevent or stop cell damage caused by oxidants. Oxidants are free radicals that you find in the environment or that your body produces. Your body creates them to help fend off viruses and microbes. But if you have too many, they can cause severe damage and contribute to certain cancers. You can get oxidants from air pollution, cigarette smoke, and alcohol. Antioxidants ​are part of plant-based foods such as fruits and vegetables. Vitamin C: Vitamin C is a nutrient that supports the immune system. When fighting cancer, you need large quantities of this vitamin. ​Alpha-Lipoic Acid: Alpha-Lipoic Acid is a powerful antioxidant. Some people use it for memory loss, cancer and other diseases of the blood vessels. It kills hydroxyl radicals and other free radicals. Alpha-Lipoic Acid also boosts glutathione, which combats the damaging cytokines. It also regenerates vitamins C and E and coenzyme Q10. Vitamin A: Vitamin A is a fat-soluble vitamin that is also a powerful antioxidant. It is crucial for a healthy vision, neurological function, healthy skin, and more. Vitamin A reduces infections and tumors. It also clears the lungs of smoke and other pollutants. Like others antioxidants, vitamin A fights free radical damage. Eating a diet high in antioxidants is a natural way to slow aging. There are two forms of vitamin A, active Vitamin A and beta-carotene. Active Vitamin A comes from retinol from animal-derived foods. Beta-carotene is a type of carotenoid which is common in plants. The body needs to convert it to active Vitamin A before it can use it. Get vitamin A from whole foods like plants and fruits rather than supplements. Excellent sources of vitamin A include carrots, sweet potatoes, kale, spinach, apricots, and broccoli. Flavonoids: Flavonoids exist in most fruits and vegetables and give them their vibrant colors. It is most famous for its antioxidant and anti-inflammatory health benefits. Vitamin E: Vitamin E is a fat-soluble nutrient found in many foods. It prevents cancer by fighting free radicals and activates the immune system. ​​Selenium: Selenium is a trace mineral. It works together with vitamin E to prevent oxidative damage in the body. Selenium also helps iodine regulate metabolism and works as powerful anti-oxidant. Consuming foods high in selenium can support the body's detoxification. ​Silibinin: Silibinin is the primary active component of milk thistle. Milk thistle is an adaptogenic herb. Silibinin cuts off the vascular network of the tumor. It also inhibits the growth of drug-resistant breast and ovarian cancers. Milk thistle is an antioxidant that has anti-cancer qualities. ​Glutathione Peroxidase: Glutathione is part of every cell of our bodies. It plays a major role in defending our systems. Low levels of glutathione may increase the risk for cancer. Superoxide Dismutase and Catalase: Like glutathione, these antioxidants protect you against free radical damage. They shield the heart, brain, lungs, kidney, and liver. Coenzyme QIO: Coenzyme Q10 works together with other enzymes in the body to optimize energy. Q10 improves oxygen use, stimulates the immune system and acts as an antioxidant. Grape Seed Extract: Grape seed extract comes from the ground-up seeds of red wine grapes. This extract can treat many diseases. Grape seed extract contains antioxidants which protect cells from damage. The seeds also contain pycnogenol which has anti-aging properties. You can find glutamine in both animal and plant protein. Glutamine may also decrease tumor progression. Inositol Hexaphosphate (IP-6): IP-6 is a sugar, like glucose. The difference is that it has six phosphates attached to its molecules.It can help the body fight cancer by enhancing the body’s defense mechanism. IP-6 activates the production of natural killer cells. It also increases the effectiveness of the tumor suppressor gene P53. P53 spur cancer cells to either normalize or kill themselves. DHEA: We produce DHEA in our body, but this hormone tends to lessen as we age. A decrease in DHEA is part of several degenerative diseases including cancer. Melatonin: Melatonin is vital in regulating sleep cycles and make our immune system strong. The pineal gland produces this hormone during darkness. Melatonin aids our natural killer cells in getting rid of tumors. The best way to boost your melatonin is to get eight hours of sleep every day. ​To learn how to get amazing sleep, read this blog post. ​Enzymes: Enzymes, are abundant in raw fruits and vegetables. ​​​Folic Acid: Folate and folic acid are forms of a water-soluble B vitamin. Folic acid is the synthetic form of this vitamin and folate is the natural form. This vitamin is helpful for patients with breast cancer, and cervical dysplasia. For smokers, it cuts down on the adverse effects of nicotine on the lungs. Modified Citrus Pectin (MCP): MCP is a complex polysaccharide, obtained from the peel and pulp of citrus fruits. It can join together with galectins to inhibit tumor cells from binding together. The adult dose of this soluble fiber is about 6-30 g.
Resveratrol: Resveratrol is a compound created in plants when insects, animals or pathogens attack them. Mulberries and the skins of red grapes are rich in resveratrol. Resveratrol is a powerful antioxidant that provides great protection against DNA damage. It can also help the destruction of cancer cells. ​Zinc: Zinc helps the body's immune system. It also supports the T- and B-cells in fighting infection and producing antibodies. And zinc also helps in the healing phase. Chromium: Chromium is a trace mineral needed by the body in small amounts for healthy functioning. It can protect DNA chromosomes from damage and may be able to halt cell mutations. This mineral acts as a hormone in the body and regulates our blood sugar levels. Chromium supplements may be helpful in the prevention and treatment of cancer. Genistein: Genistein is a phytoestrogen from legumes. It fights bad estrogens and has anti-cancer properties. Niacin: Niacin is the name given to vitamin B3. B3 is a crucial vitamin in many illnesses from Alzheimer´s to cancer. Niacin is a water-soluble vitamin that is part of The Gerson Therapy. Large oral doses of niacin along with vitamin C can be beneficial against cancer. Vitamin D: Vitamin D from sun exposure protects you from several diseases, including cancer. Sun exposure helps build and maintain bone density and reduces fractures. If you don’t have adequate vitamin D levels, you can’t use calcium from your diet or supplement as efficient. ​Learn how to use sunshine to prevent cancer. Read more in this blog post. ​Vitamin B12: Bacteria produce vitamin B12, not plants or animals.If you don't eat animal products or foods fortified with B12, then you should take a B12 supplement. Buy B12 with cyanocobalamin. You only need 100 mg per day. Or you can take one 1000 mg dosage once a week. B17(Laetrile): B17 or Amygdalin is not a vitamin. It is a chemical compound derived from most fruit pits. Bitter almonds and the kernels of apricots or peaches contain higher levels of it. B17 relieves pain and inhibits the growth of tumors. Laetrile is the name of the concentrated form of B17 and is illegal in America. If you want to get B17, you need to buy whole apricots seeds from Amazon or other sites. Click here to buy apricot seeds from Amazon. Eat the kernels whole or grind them and put them in your smoothies or juices. Use 1-2 kernels per 10lbs(5 kg) of body weight per day. Start with 5-10 the first day and work your way up. Later you will be able to eat larger amounts like 15-20 at a time, three times per day. Aloe Vera: Aloe vera is one of about 420 species of the genus Aloe. It is a plant that’s green and has triangular, fleshy leaves with jagged edges. Aloe gel is the clear, jelly-like substance found in the inner part of the aloe plant leaf. Aloe vera is antiseptic, antimicrobial and anti-inflammatory. It contains amino acids and minerals. It also provides live enzymes, including amylase. Its role in treating tumors is due to its ability to stimulate phagocytic activity. Astragalus: Astragalus is an old Chinese remedy. This herb helps cells damaged by cancer and radiation. It is safe to take on a daily basis, making it an ideal preventive tonic. Ginkgo Biloba: Chinese medicine has for thousands of years used the leaves from the Ginkgo biloba tree. Ginkgo improves blood flow to the brain and acts as an antioxidant. This antioxidant herb counteracts a substance in the body called platelet activation factor. By interfering with PAF, ginkgo may fight cancer. Echinacea: Echinacea stimulates the production and mobilization of white blood cells. It also helps the cells in the lymphatic system. Garlic: Garlic has some anti-cancer benefits. It makes cancer more recognizable to the immune system. Garlic is great for stomach, colon, esophagus, pancreas, and breast cancer. Ginger: Ginger will ease nausea associated with chemotherapy. You can use it in your cooking or as a tea. Ginseng: Ginseng is one of the most popular herbal medicines in the world. Native Americans used it as a headache remedy and treatment for fever and indigestion.Ginseng possesses powerful anti-cancer properties because of its ability to inhibit tumor growth. Lentinan: Lentinan is an extract of the shiitake mushroom. It can help reduce the side effects of chemotherapy. Lentinan may also help against colorectal, stomach and breast cancers. Red Clover: Red clover protects DNA, and helps to prevent mutations. Essiac tea: Essiac is an herbal formula used for years to fight cancer. Among its immune-enhancing ingredients are burdock, Indian rhubarb, sheep sorrel and slippery elm. Cannabis oil: Cannabis is a herb that has medicinal properties. This oil has a powerful effect on the body and mind. Cannabis oil can treat several diseases including cancer. Ozone therapy: This treatment method applies ozone gas into your body to treat a disease or wound. Ozone is a colorless gas made up of three atoms of oxygen, O3. Medical ozone is pure and concentrated and has unique healing properties. Ozone therapy stimulates the immune system in people with immune disorders. Antineoplaston Therapy: Antineoplaston therapy is a procedure developed by Dr. Burzynski. He uses antineoplastons to treat cancer. Meat and dairy: Meat and dairy are poisons. Your body can handle limited amounts of protein, fat, cholesterol, and dietary acids. All animal products contain too much fat, protein, cholesterol, methionine and dietary acid. Excess fat and cholesterol clog the arteries and increase the cancer risk. ​Read more how meat causes cancer here. ​Milk products are high in calories, fat, and cholesterol. Dairy also contains many growth hormones.The most powerful of these hormones is IGF-1. Milk also raises estrogen levels in a person’s body. Excess estrogen increases your risk of breast-, uterus-, and prostate cancer. ​Discover more about the dangers of dairy here. ​Vegetable oils: Avoid all vegetable oils. Vegetable oils are not real food and should not be a part of a healthy diet. Oils become rancid at high temperatures and create free radicals in the body. Even cold pressed oils like olive oil, and coconut oil ​are bad for you. They clog arteries and lead to ill health. ​Read more about this topic here. ​Antibiotics: These drugs affect the immune system by diminishing white blood cells. Vaccines: Vaccines contain toxic chemicals and poisons and may lead to more cancer. ​Read this blog post to learn more about the dangers of vaccines. ​Tobacco: Smoking increases the risk of lung cancer. It contains 69 cancer-causing chemicals. Cigarettes also carry many heavy metals. Alcohol: Alcohol increases your risk of mouth, throat and breast cancer. Heavy drinking can also cause cirrhosis of the liver and lead to cancer. Radiation& Chemotherapy: Radiation therapy and chemotherapy destroys cancer cells but also harms healthy cells. Radiotherapy can create tumors of the lung, stomach, bone, or leukemia. Chemotherapy is toxic and may cause more cancer not less. Mammograms: Mammography is an x-ray imaging method used to examine the breast for cancer. But despite that women receive mammograms it doesn’t reduce cancer death. ​Learn why you should avoid mammograms in this blog post. Click to read the article now. Mammograms send a strong dose of ionizing radiation through your tissues. Any dose of ionizing radiation is capable of contributing to cancer. So now you should know several foods and remedies to use against cancer. But which one should you start with? A useful way to know what supplements or food you need is to use muscle testing. I will explain it in the next section. ​There is a method that you can use to communicate with your body and ask questions. This technique is called kinesthetic testing, kinesiology, or muscle testing. Doctors have used it since the 1940s to check muscle strength and assess the extent of an injury. Muscle testing can tell you about the health and balance of your body. You can use muscle testing and access your body’s internal computer system. Our bodies know what is causing problems. We only need to ask it. Our bodies can also inform us what’s good for us and what isn’t. The body also has a physical response when we lie or are truthful. When we ​lie, the muscles weaken. Or they stay strong when we tell the truth. You can use muscle testing to know what foods you should eat more of or avoid. Or you can check which supplements are beneficial or not. The easiest way to learn muscle testing is to use the Sway Test. The Sway Test is the simplest method to get answers from your subconscious mind. To try the Sway Test, stand up in a straight position. The room should be quiet and free of distractions. It is easier to do this method if you're alone. 1. Stand with your feet shoulder-width apart with your hands by your sides.Let go of all your worries and relax your body. 2. Close your eyes. Within a few seconds, you will notice that it is impossible to stand still. Your body will continue to move in different directions. These movements are minor and are not under your conscious control. When you make a positive, true or congruent statement, your body should begin to sway forward. And when you make an incongruent or untrue statement your body should sway backward. 3. Now test this method by saying "unconditional love." Keep this phrase in your mind, and try to feel it. In a few seconds, you should notice your body swaying forward. 4. Clear your mind, and say the word “hatred.” Try to feel the emotion connected with this thought. Your body should sway backward. It is vital that you don’t try to force your body to swing either forward or back. Now try making a statement that you know to be true. Say “My name is ​your name.” If your name is Lisa for example, you would say, “My name is Lisa.” Your body should now move forward. If you choose a name that is not your own, you should feel your body begin to sway backward within a few seconds. When you are first learning this method, it may take a little longer than expected for your body to sway. Don’t get discouraged if this happens. Have patience with yourself. Another way to do muscle testing is the Basic Arm Test. To do this exercise, you need another person that can press down your arm. You're going to get answers from your body using your arm. Use your arm that is not in pain. 1. Stand up and hold one arm out directly in front of the other person that is going to test you. 2.The tester should place two fingers of one hand lightly on your arm, just above the wrist. 3. Then the tester should put their hand on your opposite shoulder to support you. 4. Try to resist when the tester presses down on your arm. 6. Your friend should increase the downward pressure on your arm slowly. They should go from no strength and increase the pressure within 3 seconds. ​To know if you're testable you should get a strong response when they ask for your real name.The shoulder joint should stay ‘locked’ against your friend's downward pressure. It shouldn't give way anything. And you should get a weak response when they say a name that isn’t yours. You should always use the smallest force needed to perceive whether the arm is staying locked or not. Here are some tips that will help you improve muscle testing skills. ​You can use muscle testing to know if food or supplements are useful for you.I'll show you how to do that next. 1. Test a substance or food by putting it in your mouth or hold it in your hand. 2. If the arm stands up to the manual pressure the food or supplement, is beneficial for you. If the muscle gives way, the food or supplement is not helpful for you. 2. If you use the sway test, you should sway forward if the supplement or food is good. Or sway backward if the supplement is not beneficial for you. You can also ask your body how much capsules you need to take of each supplement. Do I need more than two capsules of this supplement per day? If there is a strong response, it means yes. Continue asking do I need more than 3 … 4… 6 capsules per day? When the arm goes weak, it means no, and you should know how many supplements you should take. The accuracy of muscle testing may vary. Visit an experienced kinesiologist if you struggle with muscle testing. ​We need to eat a plant-based diet to maintain good health and prevent cancer. Vegetables and fruits contain essential vitamins, fats, and protein that we need. Eating alkaline foods balances the pH of the blood, which, in turn, inhibits the growth of cancer cells. Antioxidants help prevent or stop cell damage caused by oxidants. Oxidants are free radicals that ​can cause severe damage and contribute to certain cancers. There are several natural remedies for cancer including herbs, and other treatments. Avoid animal products, radiation, chemo, vaccines, antibiotics, mammograms, tobacco, and alcohol if you have cancer. You can use muscle testing to ask your body what it needs and test different supplements and foods. ​​Eating a plant-based diet is the best way to get all the nutrients that your body needs. In this blog post, I gave you tips on many different natural remedies for cancer. Everybody is different. What you need might be different from another person. The only sure way to know what foods you should eat, is by learning how to do muscle testing. You can download a pdf of this blog post below so that you can learn how to do muscle testing at home. And you can read about the ​remedies I suggested and use muscle testing to know which one to take. Click here to download ​Amazing Natural Remedies ​For Cancer ​ e-book here. Incredible ! 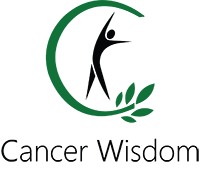 the most comprehensive information on cancer any where online …. always learning ways to beat cancer naturally. Thanks !! Glad you liked it. It took a lot of time to write this blog post.